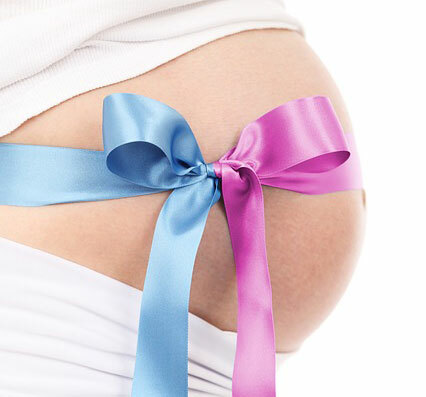 A woman’s body goes through dramatic changes during pregnancy, it is a miraculous stage of life indeed. In order to house, nourish and grow an entire new being within the womb, various biological, emotional, hormonal and physical changes occur in the woman’s body, one of which is the inevitable appearance of stretchmarks. Stretchmarks occur in pregnancy as the skin around the belly expands and pulls outward within a short period of time. The skin stretches at a rate that is faster than the body’s ability to create new skin tissue, resulting in thin, long lines that many women would like to avoid all together. Known as stria in the medical world, stretchmarks during pregnancy come about as a result of the body’s inability to keep up with the rapidly stretching skin on the belly. As the skin on the belly rapidly expands, the middle layer of the skin (called dermis) breaks apart, revealing the blood vessels and veins underneath to show through. 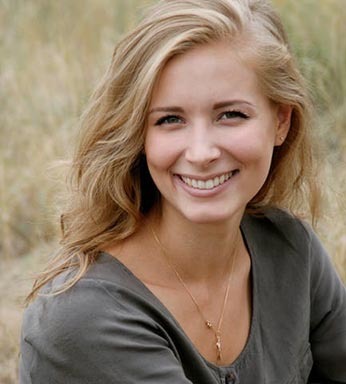 This is why stretchmarks will be bright red or purple during the first few weeks, but will slowly fade to a pale, white or silvery color as the blood vessels slowly heal and contract to a smaller size. 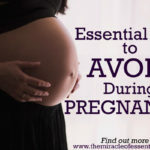 In pregnancy, stretchmarks may not only appear on the belly but also on the breasts, which also go through expansion during pregnancy, as they swell with milk in preparation for the baby that’s about to appear. Stretchmarks may also appear on the hip region, thighs and buttocks during pregnancy. Do All Women Get Stretchmarks? More than 90% of women get stretchmarks in pregnancy, although the degree of severity may vary. Call me vain but as a first time mother, I was highly worried about stretchmarks and I kept asking other mothers if they got stretchmarks at all and what remedies they used. The answers were so varied and interesting I thought I’d share them here. Some women were nonchalant and totally unbothered by stretchmarks. 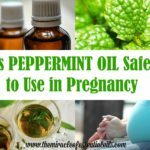 I remember talking to one of my friends who was 8 month pregnancy and couldn’t help scratch her belly, which was itching her uncontrollably. I told her not to scratch so hard because it would make the stretchmarks worse – but she got so offended, saying she didn’t give a flying fork about stretchmarks! Moral of the story: Never tell a pregnant woman what to do. I asked another lady with 2 kids under 2 what she did for stretchmarks during pregnancy. She lifted up her shirt and showed be her belly filled with all manner of stretchmarks running in all directions. Suffice it to say, I was scarred for life. That was all I needed! 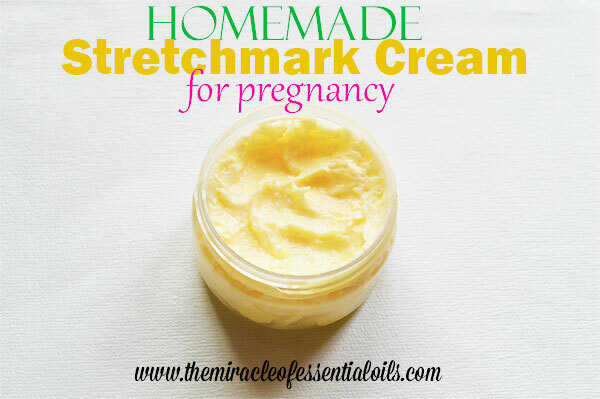 In my second trimester of pregnancy, I got to work making my own homemade stretchmark removal cream, which helped me reduce oncoming stretchmarks and avoid them as much as possible. I only got a few tiny stretchmarks on the lower part of my belly, even my mother was surprised by how few stretchmarks I got! Well, here’s the recipe, beautiful mamas – go on and give it a try! 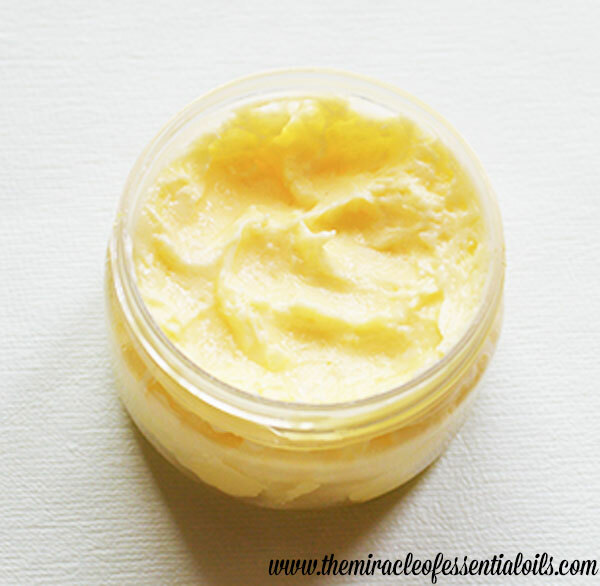 This cream is so easy to make, and it’s free of all the nasty chemicals that you’ll find in conventional stretchmark creams. In a double boiler, heat both the shea butter and the cocoa butter until they are fully melted. Keep stirring to combine both butters thoroughly. 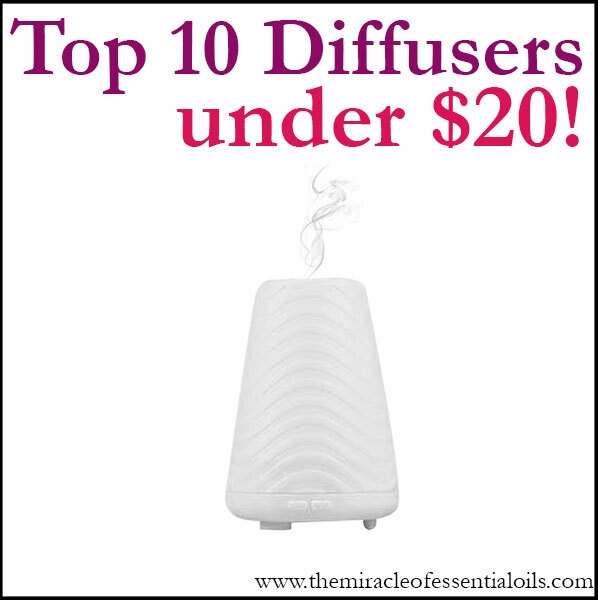 Now pour the melted butters into a clean, dry mason jar/glass jar. Drop in all the oils carefully and mix them in using the back of a spoon. 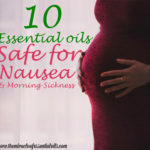 You don’t want to get essential oils on your food utensils as they are not safe for consumption. Now allow the stretchmark cream to set by placing it in the refrigerator overnight. Your homemade stretchmark removal cream is ready for use! » In addition to the obvious stretchmarks that appear on your growing belly, stretchmarks can also appear on the breasts, thighs, buttocks and hips during pregnancy, as these regions also tend to expand. Apply the stretchmark cream liberally over all these areas 1 – 2 times a day. 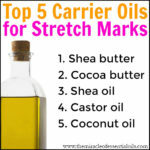 » As you rub your stretchmark cream, massage it into the skin gently, but as firm as you can handle. 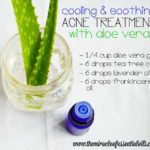 This will help the cream to sink into the skin and help heal the stretching skin better. 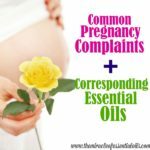 What Essential Oils Are Good for Pregnancy?